AUSTRALIA: Following a record year for investment, Australia will match the 33TWh renewable energy target (RET) set in 2015, according to the nation's clean energy regulator. The regulator suggested Australia needed an additional 6GW of renewable energy capacity would be needed to reach the 2020 target. However, following an influx of investment in late 2016, which carried in to 2017, it now predicts over 6.5GW to be added. 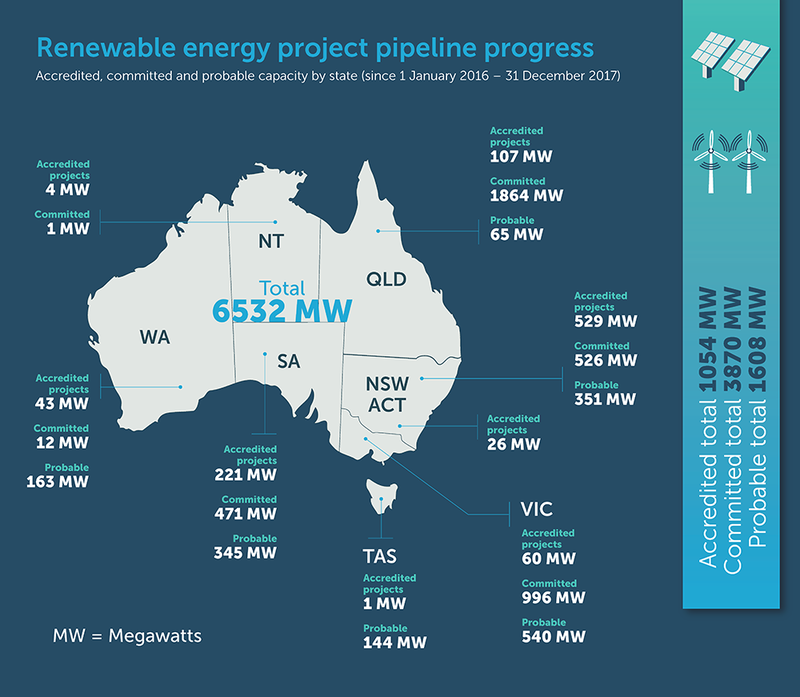 As of the end of 2017, Australia had 6,532MW of renewable capacity accredited, committed to, or with power deals in place, which the regulator is confident will be completed. Most of the capacity is due to be installed in Queensland (2GW), with Victoria (1.6GW) and New South Wales (1.4GW) also set to contribute. "In 2017, more than 1,000 megawatts of renewable projects were completed and began generation, the biggest year ever for new build coming online," said Clean Energy Regulator chair David Parker. "We expect 2018 and 2019 to be even bigger, with each year having more than double the new build completed compared to 2017." 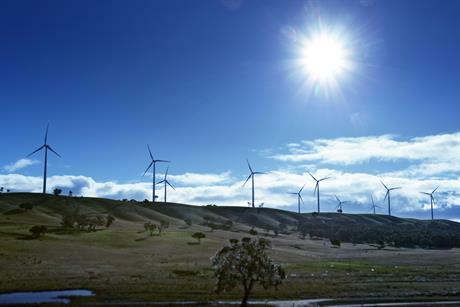 "There is still a long way to go on the journey to reach the 2020 target, but we believe it will be met due to the hard work and tenacity of the electricity sector, the renewables industry and those that have financed these projects," Parker added. Australian renewable energy lobby group, the Clean Energy Council, said the average household bill is set to fall over the course of the rest of this decade, as a result of the additional renewable capacity. "Large-scale renewable energy projects adding up to more than $10 billion in private investment were either under construction or committed during 2017," council chief executive Kane Thornton said. "We are now looking forward to several really big years of job creation and economic activity as the industry builds out the rest of the RET. "Renewable energy is now the lowest cost type of new power generation it's possible to build today, but it is competing against old and increasingly unreliable coal-fired power stations that were built by taxpayers many decades ago. This is why the RET has been so important," Thornton added. The RET was set at 33TWh in 2015, under Tony Abbott's premiership. The target was reduced from the 41TWh originally set in 2009. Abbott's desire to scrap the target was met with fierce competition, resulting in years of negotiation, which all-but stopped renewable energy development in Australia for two years.